Previously, I showed you how to move the geometry to the origin of the coordinate system. Of course, we can use the move function not only when we want to move the geometry to the origin of the coordinate system. Sometimes you just have to move the geometries relative to each other and for this purpose we also use the move function. 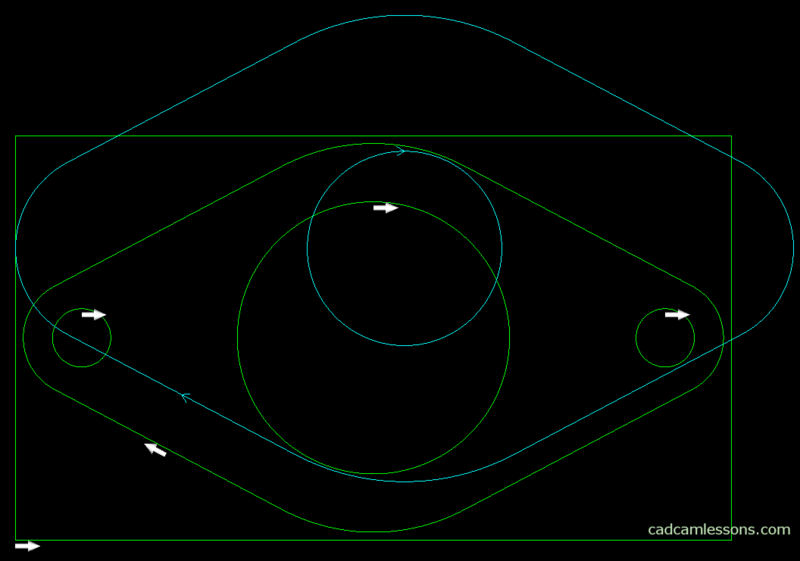 With this function, you can also move tool paths (or together tool geometries and paths). Just when moving, toolpath were hidden and did not move. To deal with this, just update the toolpaths. The sign * next to the name of the operation and the color the name of the operation change from black to blue, inform us about the fact that the tool paths need updating. 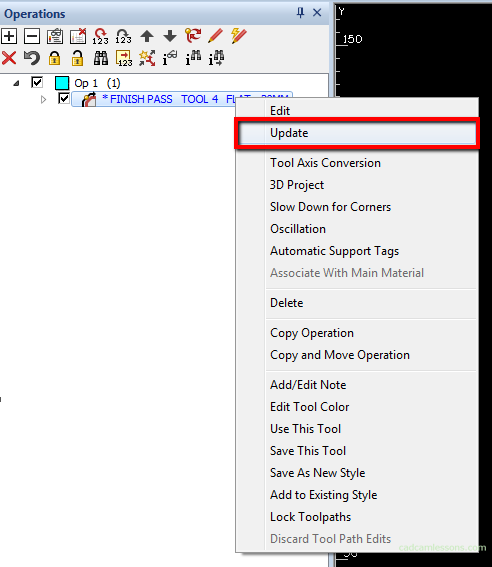 To update the toolpaths, right-click on the name of the operation and select Update from the menu. After updating the tool path, they will be correct. The need to update the toolpaths will appear in further work with Alphacam, so you should know this option.